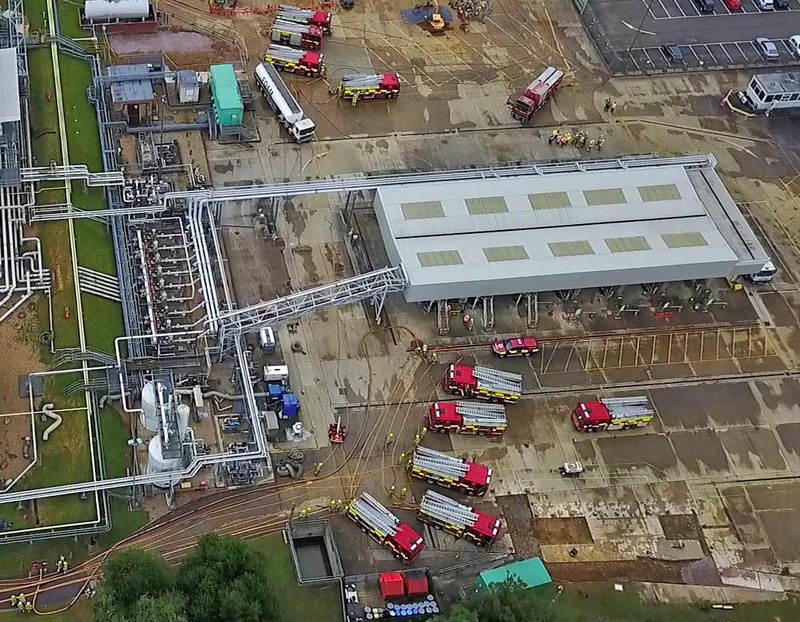 Herts Fire Crew using Drones latest technology to Aid Emergency Services. Specially trained remote pilots from HFRS’s technical rescue team fly the drone. 20 of those lives (38%) were saved by civilian drones using their drone to assist in a rescue scenario. The drone can also be used reconnaissance the area for fire or people who might need rescuing. Once a fire is out, a quick survey of the damage and confirmed from the safety of the UAV before firefighters go further. The clear conclusion is that drones are regularly saving lives around the world. 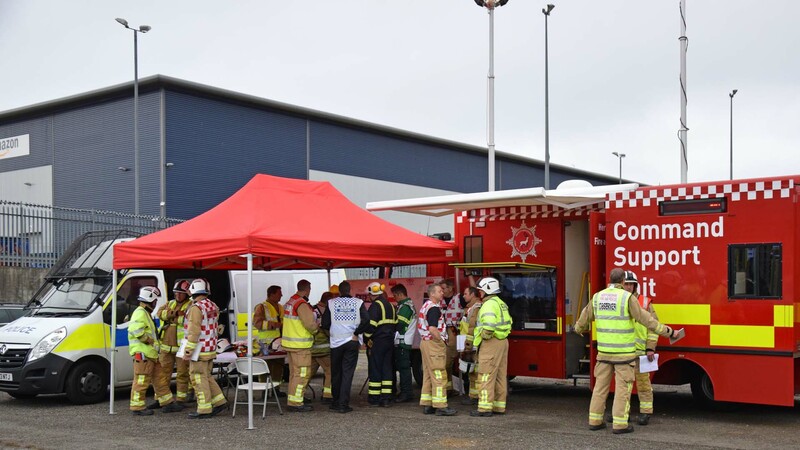 Many Fire Fighting appliances from Across Herts and Cambridgeshire were at the event. Plus some Oil Tanker Trucks. Photo taken outside the event prior to entering the site. The drone helps HFRS make decisions about the best way to deal with an incident by improving the ability to see and understand what is happening from the air. All aerial footage was acquired prior from our WL drone, and not from the drone seen operated in the video. Drones in the UK must follow the safety guide. At least 50 metres from people, property, vehicles and vessels HFRS is not in control of. These form part of the CAA's Drone Code. All responsible drone users will fly within these guidelines.